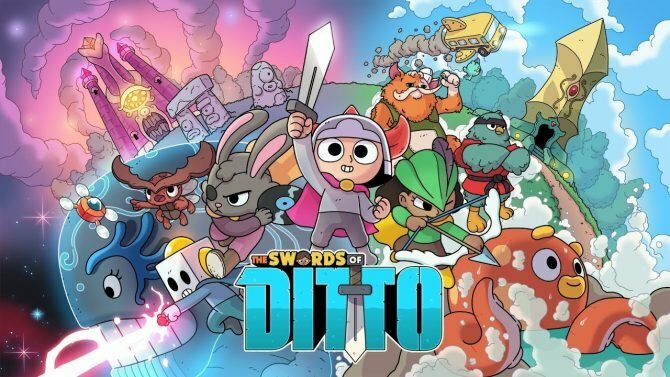 onebitbeyond and Devolver Digital released a new “E3 2017 Extended Gameplay” video for their upcoming RPG The Swords of Ditto today that clocks in just a bit over twelve minutes. 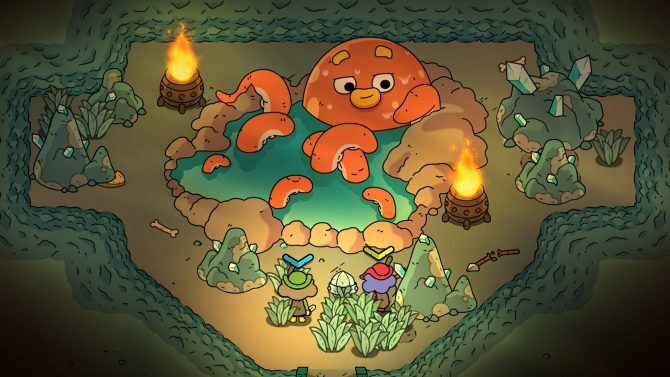 For those who don’t know, in The Swords of Ditto players explore a The Legend of Zelda inspired overworld, either alone or with a friend, doing thing like upgrading one’s hero in the village, exploring various dungeons, and taking on the villainous Mormo and her evil army. A wide variety of weapons are available in the game, from traditional swords and bows to weird ones like a magic golf club or giant foot from the heavens. During the game, you can collect and equip stickers to your gear, which give players powerful perks. The Swords of Ditto also boasts an interesting mechanic where each playthrough is effected by the one that came before it; for example, you can find ability to find weapons and recover loot from your previous heroes. 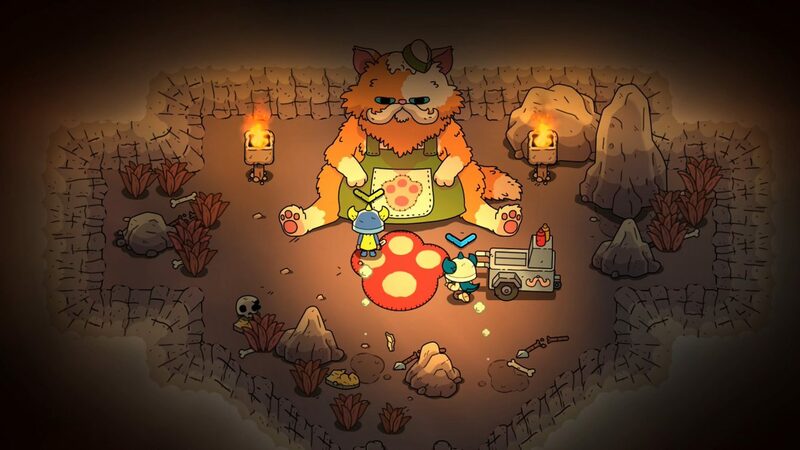 The game is also very open, as one can complete dungeons in whatever order they’d like, with players even having the option of confronting Mormo right at the start of the game. The gameplay video starts out with the main character waking up on a beach. He is soon joined by a co-op partner, and they head into a nearby town, talking to many of the villagers, and eventually powering up. They then travel through a nearby forest and end up in a dungeon, which they make their way through. The video does a great job showing the basics of gameplay and the title’s beautiful cartoony graphics, so definitely check it out below if you are interested in the game. 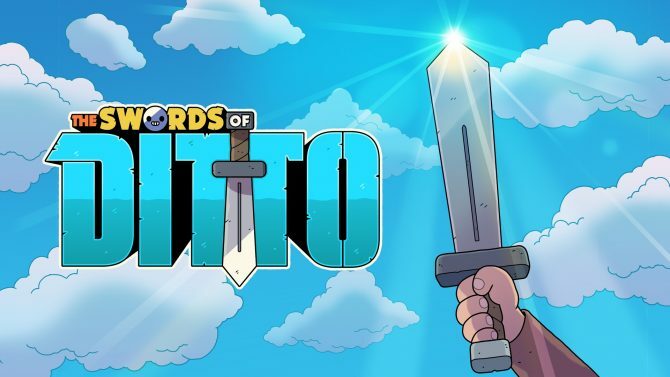 The Swords of Ditto is expected to release on PC and PS4 in early 2018.